Following the end of the Singtel Hawker Heroes Challenge, we thought it would be good to visit the other nominees to see if they were indeed the champion hawker of their class. 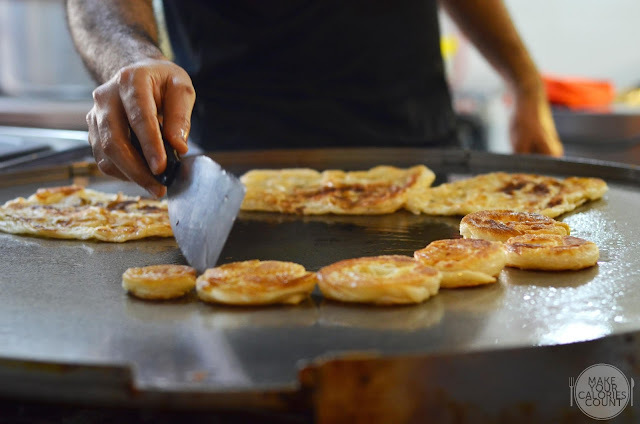 Roti Prata, a name coined by Singaporeans, is basically a pan-fried flour-based pancake cooked over a flat grill. 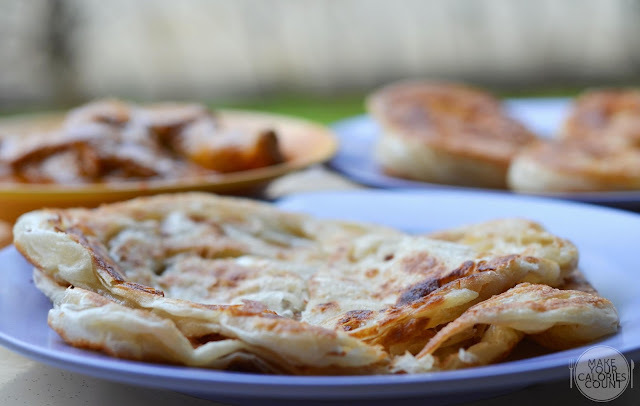 With an Indian and Pakistani origin, it is more commonly known as Paratha in the Indian subcontinent or Roti Canai in Malaysia. 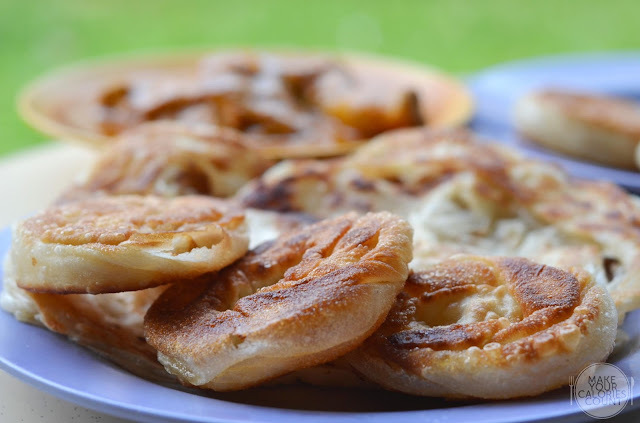 Roti prata is basically dough containing copious amount of fat, flour and water. The fat is usually ghee or clarified butter. 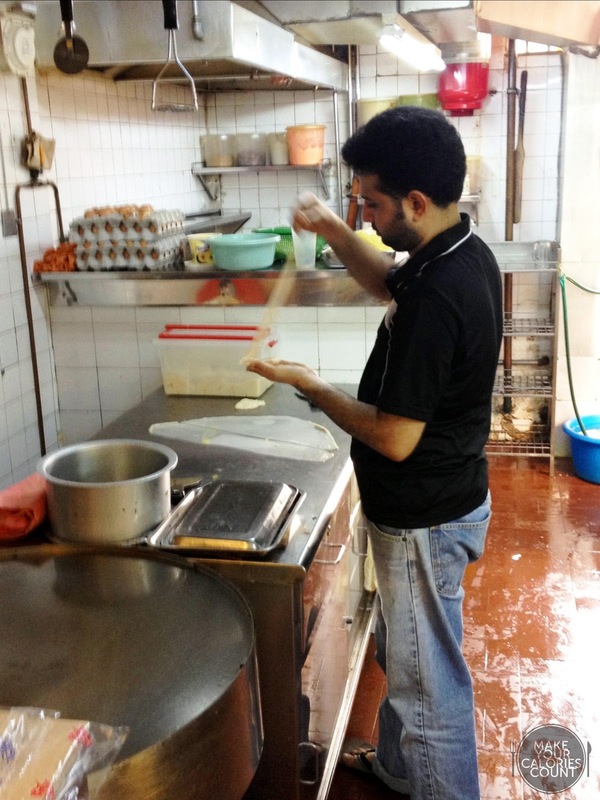 The entire mixture is then kneaded thoroughly, flattened, oiled and folded repeatedly. After which, the dough is left to rest for it to proof and rise. This process is repeated as needed and finally before serving, the dough is flipped into a large thin layer before folding the outside edges inwards. The pre-prepared dough would then be heated on the flat iron skillet and accompanying ingredients such as onions, eggs etc could then be added as per customers' orders. 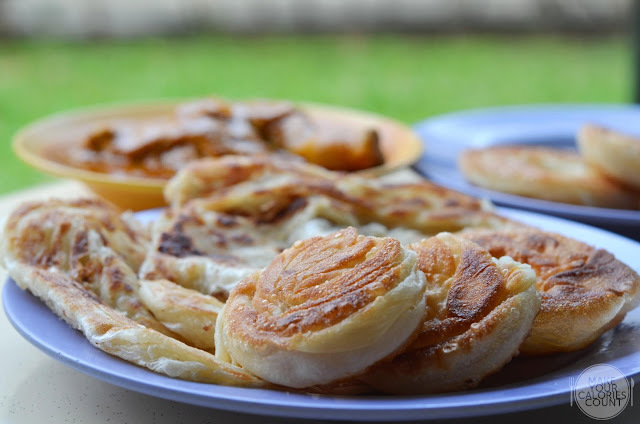 Some argue that the key to enjoying roti prata is to eat it with hands, without the need for utensils. The usual condiment served with a serving of roti prata would be lentil curry. Since young, I had been influenced by my parents to eat it with curry and a generous dab of white sugar - ugh, talk about diet suicide. With that many roti prata stalls in Singapore, with plenty open 24/7 for businesses, I never really got to discover which mamuk has the best offering. With Sin Ming Roti Prata being one of the shortlisted 'Hawker Heroes', we thought it was worthwhile to pay them a visit to see how good was their dough! While many of the stalls out there use factory-made doughs, this was one of the few remaining stalls in Singapore that still prepare their own dough. We decided to order a mix of 2 plain roti pratas and a set of coin pratas (6 pieces). The latter is actually a scaled-down version of the former. An observation of the preparation process seemed to suggest that the dough reserved for 1 normal-sized roti prata was sliced into 3 portions to make 3 small coin pratas. The standard order was for 6 coin pratas so really the dough put into it worked out to be the same as 2 plain ones. During the folding process, I notice that a large slab of that clarified butter was placed in the middle of that spread dough, allowing it to melt and flow outwards from the middle. I was largely disappointed with my orders for the plain roti pratas for they were pre-made and the gentleman merely took 2 pieces of pre-cooked roti prata and tossed it over the heated iron skillet to pan-fry it further or rather to reheat it. I was expecting my roti prata to be made fresh since I was the only customer at that point in time. (I took the special effort to visit during non-peak period so that hopefully I could get the best tasting) The coin pratas, on the other hand, were freshly made, which later proved to have a huge discrepancy in tasting. In all honesty, I was dismayed by the lack of freshness of my roti prata. Seriously, God knows how long they had been sitting in that metallic container since that last customer. I was particularly irked by the fact that the customers behind me who placed the orders for plain roti prata got to taste freshly pan-fried ones while I had to help clear the excess. All these happened right before my own eyes and I was half-expecting that they might take the onus to pile some fresh ones on my plate, but apparently quality was compromised for the sake of business. A disgruntled customer I was but I believed that I had the rights to be so. I was tasting a mediocre dough, fluffy on the inside but limp and greased on the surface. It would have been a miraculous effort if a reheated roti prata could taste as good as a freshly pan-fried version. The flavours were pretty flat and lacked appeal in appearance as it was served luke-warm. If only the plain roti pratas tasted this good. The freshly made coin pratas were everything I had in mind prior to visiting, a crisp crust surface encasing a moist and fluffy soft insides. The variance in texture was sublime and there was no better testament than to hear the crisp! While it was greasy on the inside, there was a beautiful burst of flavour enhanced by the clarified butter. There was a subtle salinity if you consumed the coin prata on its own but with the lentil curry, it was a divine combination. 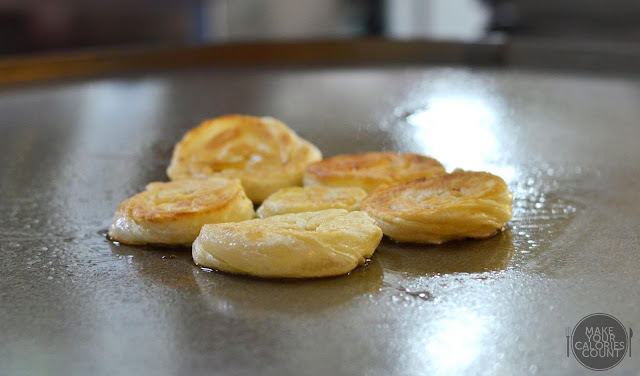 Watching the chef at work, he took efforts to create the contours of the coin prata in an encircling fashion, starting from the middle of the prata and wrapped up around the sides. Looking at the discrepancy in our food verdict for the roti prata and coin prata, your can expect the compromise in quality in the former. I cannot say for a fact if a freshly made roti prata would taste as good as the coin prata tried for unfortunately, we did not get to taste the best rendition this time round. The chicken curry was certainly one of the best tried in town! Personally, I have a penchant for curries that packed boldness and heat. The innocent-looking curry was smooth yet rich in flavour. The level of creaminess was subtle which suited my palate, with a focus on the spiciness that cut through the taste buds sharply. I could not help but indulged myself silly with the curry, almost soaking my prata in it! Before long, I found myself breaking out in perspiration - brilliant. I was taking in calories and torching them at the same time! Moving on, the chicken portions were tender and moist. The herbs and spices in the curry were well-infused into the chicken yet leaving a tinge of natural sweetness owed to the fresh chicken used. 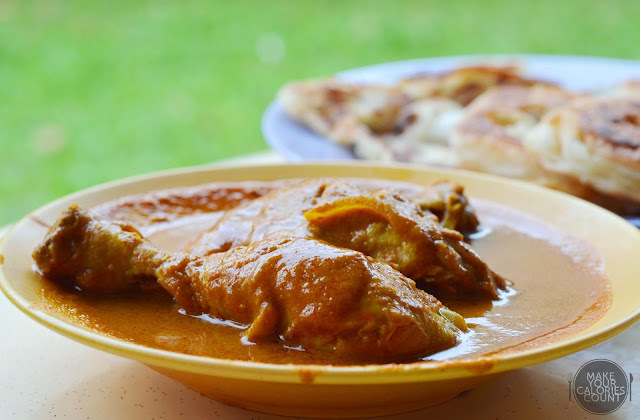 The coin prata and the curry simply worked harmoniously to give the desired 'prata experience'. It was the exact gourmet experience which we had in mind - freshly made warm, crisp prata with a fluffy dough coupled with a spicy-hot curry sauce, sedap! 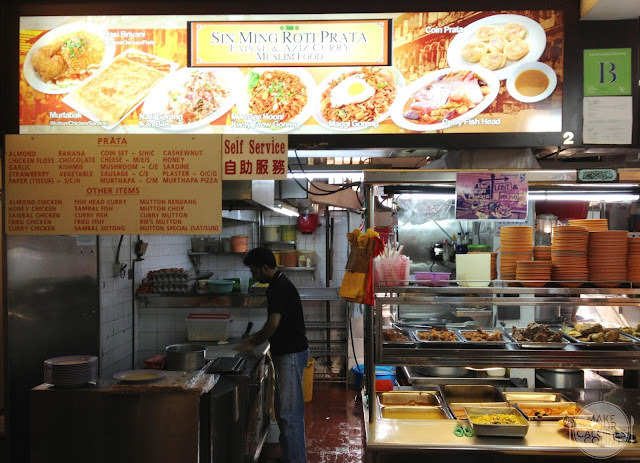 I would almost certainly regard the friendly chefs behind Sin Ming Roti Prata as our local prata hawker heroes. The only disappointment was that we were not served freshly made roti prata which I believed would have made our planned visit a worth while one. Nonetheless, we had an enjoyable late lunch compensated by the surprisingly good coin prata and chicken curry. 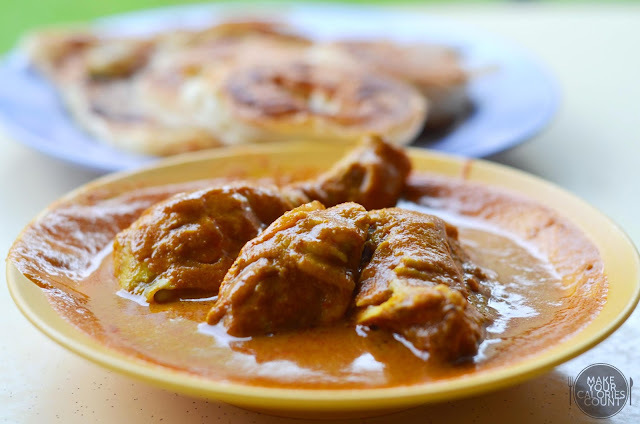 I am adamant to try their fresh prata and more of that chicken curry anytime. Looking forward to the next visit already!